That this recording was made at all is remarkable. That it is, on the whole, a success is miraculous. Though tinged with sadness – the 104-year-old company had just three more years to live – it is a fine swan-song recording for the D’Oyly Carte. Released for the first time on CD. 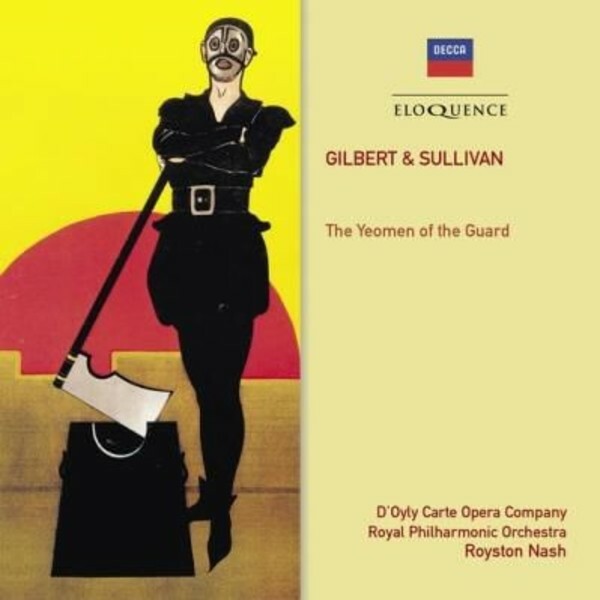 With its roots in the mid-nineteenth century English opera tradition of Balfe and Wallace, The Yeomen of the Guard is an integrated hybrid of operetta and romantic opera that combines the sparkling essence of previous Savoy successes with heightened drama and emotion, while its score is also free from the earnestness in which much of Sullivan’s 1891 grand opera Ivanhoe (with libretto by Julian Sturgis) is mired. It is fair to say that, despite maintaining high artistic standards and attracting loyal audiences, the overriding story of the D’Oyly Carte Opera Company in the late 1970s and early 1980s is not a happy one. Under-resourced and under constant threat of closure, the company which had been founded by Richard D’Oyly Carte in 1875 to perform new works by Gilbert and Sullivan struggled on under an increasingly threatening cloud of uncertainty until eventually giving its final performance on 27 February 1982. Yet there is no sign of this gloomy atmosphere in the present recording – the company’s last – of The Yeomen of the Guard. Neither, other than a few rough edges which could easily have been fixed with retakes if there been enough time or money, does it suffer too much from the unconducive circumstances of the sessions. Taped at Decca’s West Hampstead studios in the miserable depths of winter 1979, with many of the cast suffering from flu, sessions were crammed almost unfeasibly into the company’s busy performance schedule. The set boasts many glories, not least the final recorded performances of much-loved veteran stars John Reed and Kenneth Sandford, both of whom had been with the company since the 1950s. Though a little past their vocal prime, they give masterful portrayals of the lead comedy roles of jester Jack Point and gaoler Wilfred Shadbolt. Reed retired from the company shortly after this recording, continuing to guest star until its closure; Sandford remained until the end. The set is also notable for including the first professional recording of a song which was cut immediately after the work’s premiere – Sergeant Meryll’s ‘A laughing boy but yesterday’, rendered with confidence by John Ayldon.